Welcome to the official website for the “Stow It-Don’t Throw It” Project – a youth-driven marine debris prevention and ocean conservation program dedicated to protecting marine environments and their inhabitants while educating others to do the same. The project works to engage youth in combating the dangers of improperly disposed of monofilament fishing line by assembling and distributing personal-sized fishing line recycling bins to anglers and boaters, while educating the public on sustainable fishing practices. ​Additionally, the project works to engage young people in marine debris prevention programs, by providing educational resources which allow them to teach their peers and community members about ocean conservation. Through our annual Youth Ocean Conservation Summit, and Youth Ocean Conservation Team, students around the world, are empowered with the knowledge, skills, and support necessary to launch their own ocean conservation projects, and are connected with other youth and adults who are passionate about ocean conservation as well. For more information on our ocean conservation work and educational programs, or to find out how you can get involved, check out the rest of our site! Feel free to let us know if you have any questions or feedback. Thanks for visiting! 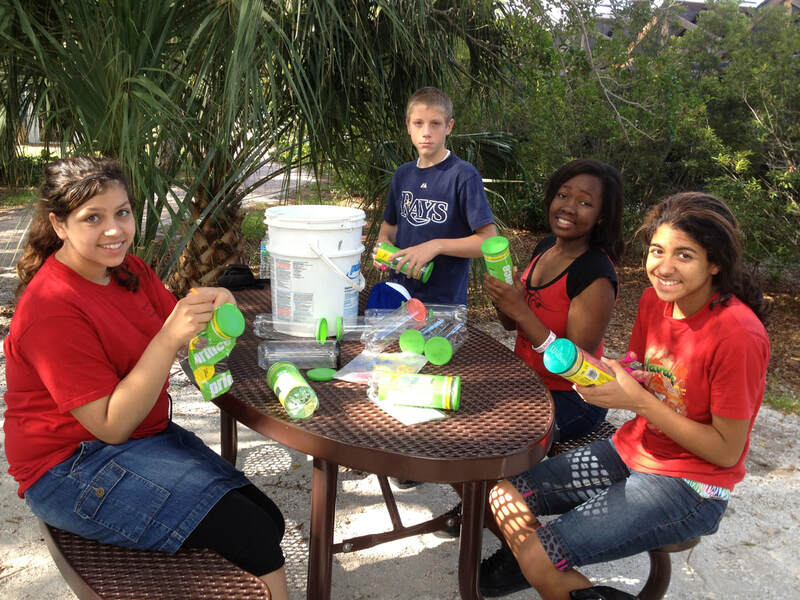 The Stow It-Don't Throw It Project is a youth-driven fishing line recycling and marine debris prevention project coordinated in partnership with Mote Marine Laboratory and the Sarasota Dolphin Research Program.